Both our little ladies love a good snuggle. And they love something to snuggle. They are not big on dolls. But they adore soft toys. And are getting quite the collection. We went on the search to find the best little soft snuggle gifts for your little snugglers. For Christmas. Birthday's. Or just because. These are just a few of our favourites. We want them all. Bunny love. 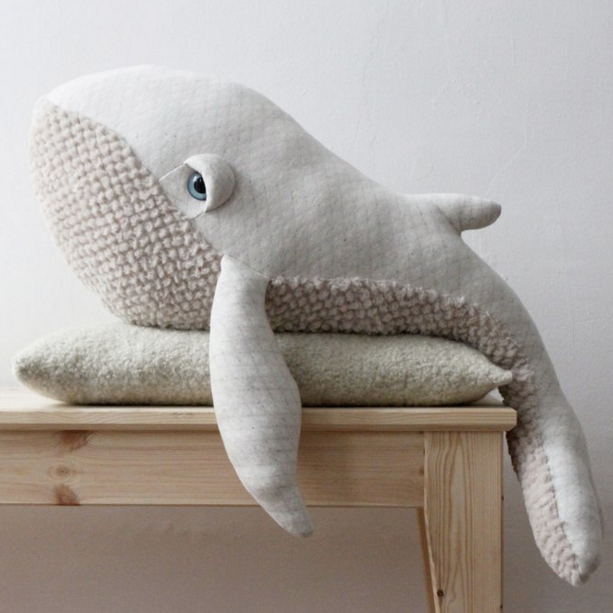 Lola is made from the softest wool blend fabric. The cutest sparkly tulle skirt wearing rabbit we ever did see. We adore her. Mini's newest best friend. Aspen the Penguin from Cuddle and Kind. Not only is Aspen the Penguin super cute. She is also full of goodness. Full of kindness. And wants to help change the world. She is made with love. And gives lots of love. The fabulous family team behind Cuddle and Kind have a goal. To provide 1 million meals a year to those who need it most. Children in North America and all around the world. And each doll you buy provides 10 meals. So many best friends to choose from. Mause Doll by Lucky Boy Sunday available from Design Group Stuff. This little quirky beauty is on top of our wish list. The Mause Doll. Made from the softest merino alpaca. Perfect to snuggle. Super cute. Playful. Love her. Plenty of others to choose from. All sizes. All budgets. Teddy the Teddy from Little Peach Handmade. Oh Teddy. Too cute. Rocking a sweet bow tie. Leather Crown. And teeny tiny pant poms. Made from the most beautiful tea stained fabric with love and care. But be gentle with him. Soft snuggles or shelf hangs only for this little guy. Winnie from Miann & Co. + Pax & Hart. We love Winnie. A collaboration from two of the most inspirational businesses. We adore everything Miann & Co. do. And we adore seeing the beautiful Pax & Hart artwork come to life. Winnie has our heart. And Sailor. Just as cute. Perfect for the boys, tomboys and pirate lovers. Florence Cloth Doll by Vanessa Byrne. With sweet little eyes and heart shaped nose. Wearing a faux fur capelet. Tulle Skirt. And a pale pink flower. Flo is the most beautiful little bunny we ever did see. Vanessa Byrne makes some simply beautiful pieces. Soft. Delicate. And only for gentle play. She has even has a little heart shaped nose. This dapper-moustached-happy-kind guy loves a hug all day long. And loves a nap with your little ones. We already have a few. Our babes love them. We love Noodoll. And we can not wait to get a few more. So many to choose from. This guy. Mr Big Albino Whale. The perfect snuggle companion. We adore him. And we adore all of his Big Stuffed friends. So many to choose from. And all handmade in France.